Fig1. 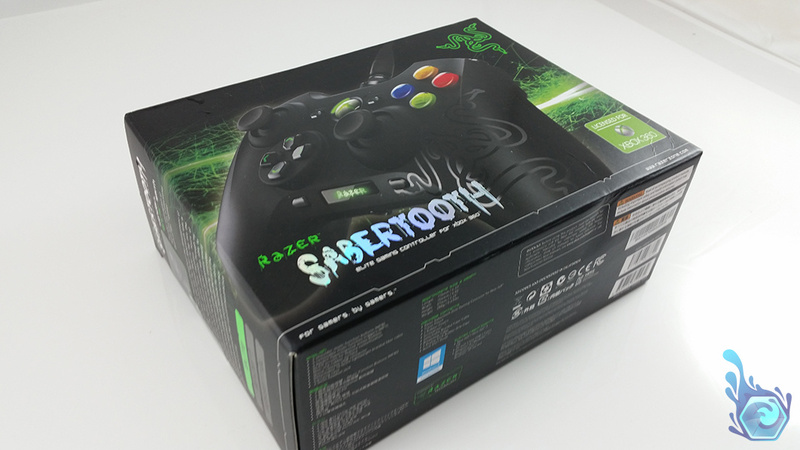 – The Razer Sabertooth. Fig2. – The Sabertooth’s box. Fig3. 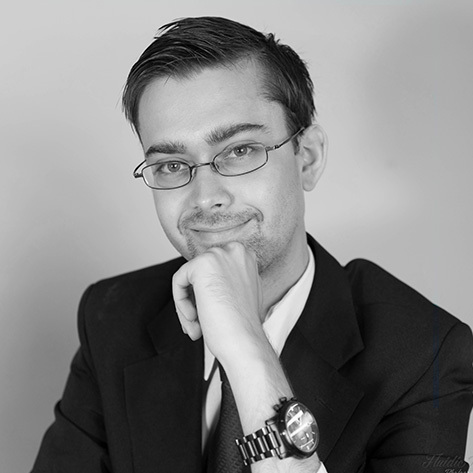 – The controller and additional items. I’ll let you guys in on a little secret and that is i’ve never really liked Razer products in my time of gaming and reviews, partially because i’ve heard bad things about them and also because i’ve also owned a couple of their products and wasn’t terribly impressed. One of them being the Razer Megalodon which was a fair headset but felt poorly made, but you can read that review if you want to, this is about their Sabertooth controller which I primarily bought for pc gaming for Skyrim, Mortal Kombat and any other game which will be easier on a controller. Fig4. – The Sabertooth manual, case and stickers. Upon opening the box I was amazed at the lovely stitched case that was inside complete with setup instructions and users manual which i’ve always liked from Razer as they look aesthetically pleasing and are easy to follow. Inside the case was the controller surrounded by a very soft memory foam which would protect it completely if the case was thrown out of a moving car which is another aspect I love about Razer. 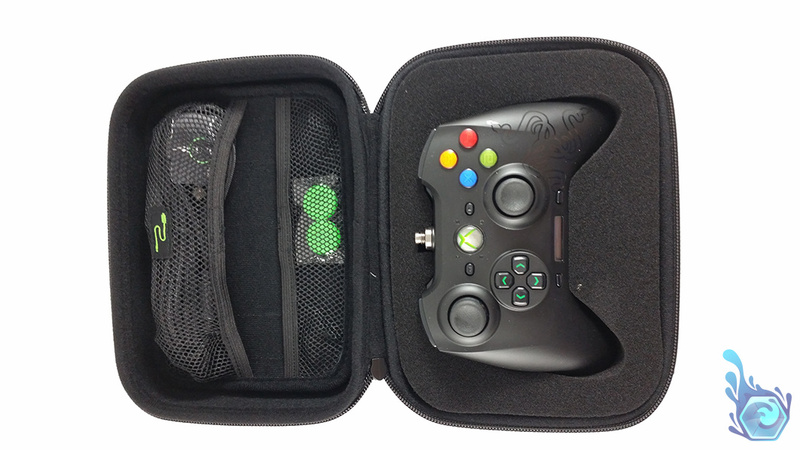 In the top of the case is a stitched USB cable that can either connect the cable to either PC or XBOX, and it’s very simple to switch between them by swapping the USB end for the one found on your XBOX controller, although only the USB cable is included in the box. The alternative end that connects to the controller is a four-pin socket that screws onto the controller very securely for those people with a rigorous play style. It’s actually a very nice looking jack too even though it’s Razer’s own connection type used for this controller but i’m sure you could purchase another if you break your current cable for some reason. Fig5. – The Sabertooth after opening the case with the memory foam. Fig6. – A close up of the controller in it’s case. The controller fits very well in my small hands and I can easily reach all of the buttons although I don’t feel the controller has been thought through for people with larger hands, they might find it uncomfortable, much like people with larger fingers find it hard to type on modern smartphones. 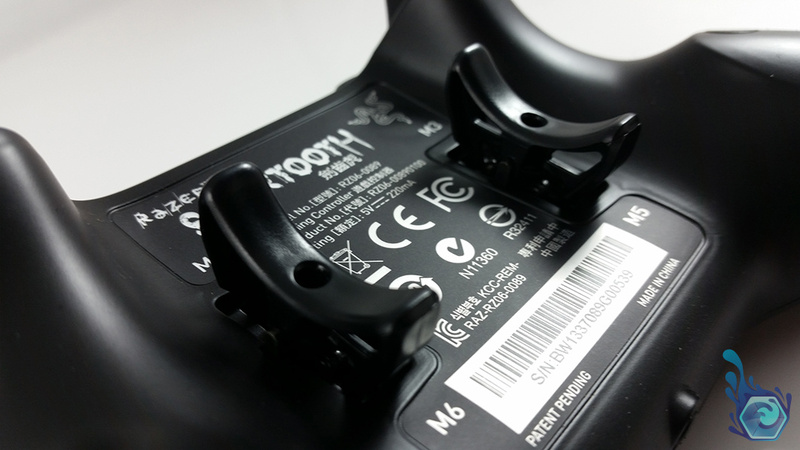 There’s a lot of extra buttons on the Sabertooth controller which include four trigger style buttons on the bottom, two small bumper buttons below the traditional bumpers and two profile buttons either side of the LED screen which let you change profiles and setup the macros of the two multi-direction triggers on the underside of the controller. The LED display is very crisp and the green text matches the Razer logo colors and is easily navigated by the controls. 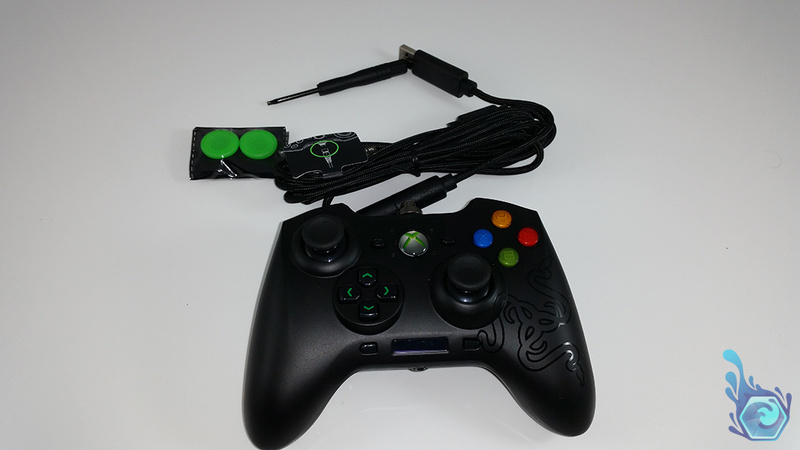 You can access the profiles with the left button and the button remapping with the right along with other funtions such as backlight and sensitivity of the main movement sticks. I love the simplicity of the mapping system which you can utilize during a game by pressing the right LED button which also disables every in-game action so you don’t actually shoot while mapping a button. The LED display and center home buttons are backlit as well as the A, B, X and Y buttons but they can all be disabled through the program menu if necessary. I have to mention that the A, B, X and Y buttons don’t quite have the same feel as their XBOX counterparts, the Sabertooth controller buttons have more of a ‘click’ feel similar to that of a cherry MX keyboard but with less button movement and sound. 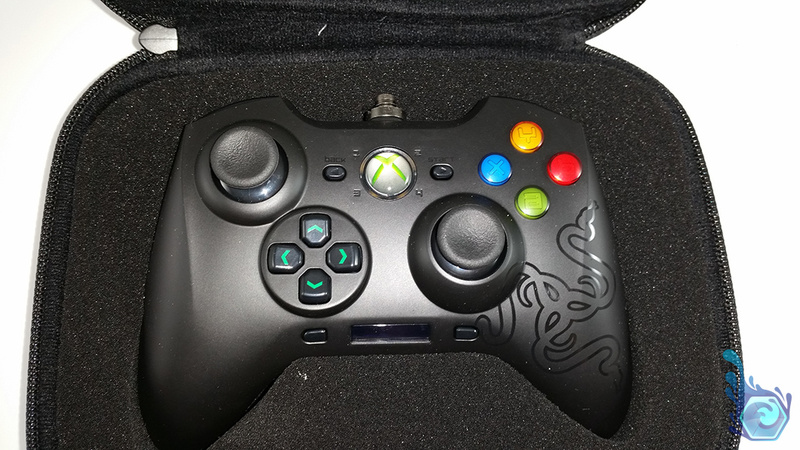 If you’re not familiar with the XBOX controller buttons they have a ‘soft touch’ feeling due to being created with rubber rather then just plastic like the Razer’s. The D-Pad buttons also have this clicky feel to them and are separated from one another which is useful to prevent other accidental button presses. Fig7. – A close-up of the buttons. Fig8. – The front of the controller. Fig9. – The controller with the cable attached. 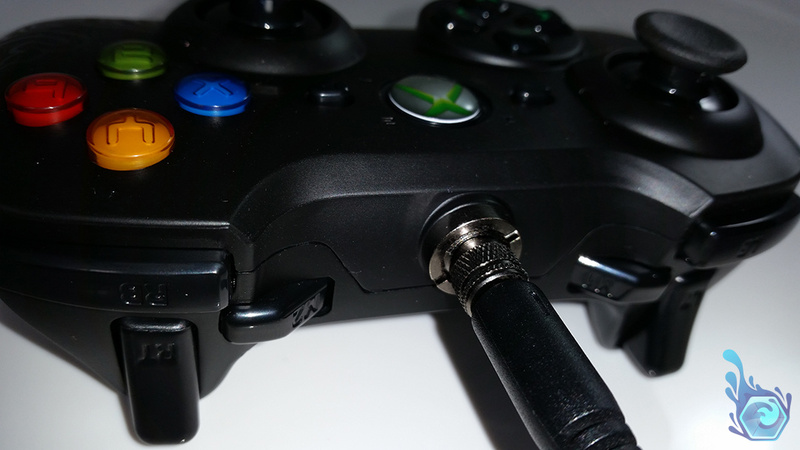 An interesting feature Razer added to the controller is the 2.5mm headphone jack on the back side of the controller, to use this however most people would require a 2.5mm M to 3.5mm F converter for typical headphones and earphones although I do love this feature built into the controller as it would be too far to run a cable from your Pc or XBOX. The headphone jack is a three-pole port which also allows players to use a microphone alongside the earphones/headphones again making it easier to use. Fig10. – The dual directions re-mappable triggers under the controller. At $80 AUD it’s a bit on the expensive side when the default controller costs $30 AUD. 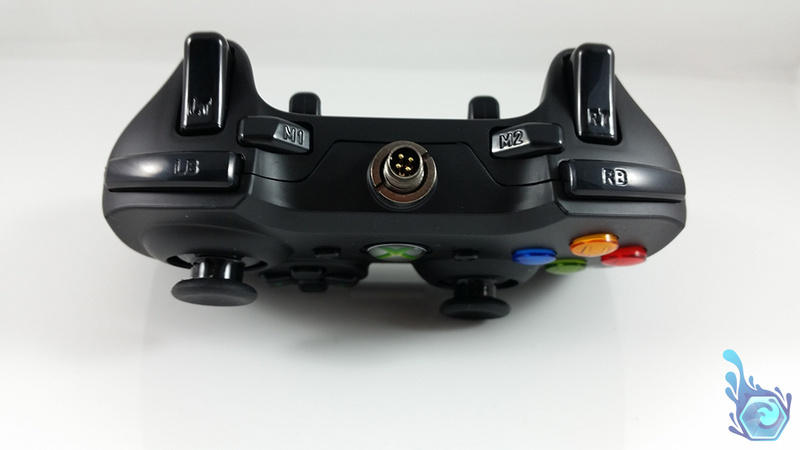 The controller has an impressive build quality and has been thought through well, especially the new triggers. It’s a nice compact controller that fits well in my hands, but may not if your hands are larger. There’s a lot of extra features on this controller from lighting, macros and extra buttons. 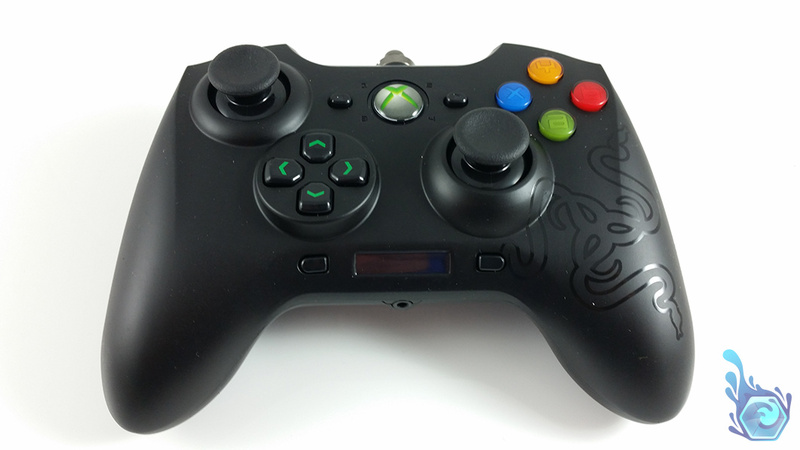 A very sleek looking controller with great controller lighting and trigger button locations. This controller is an interesting take on the typical XBOX one with many useful features. A good controller overall for gaming but I would recommend a typical USB one if you are limited financially. 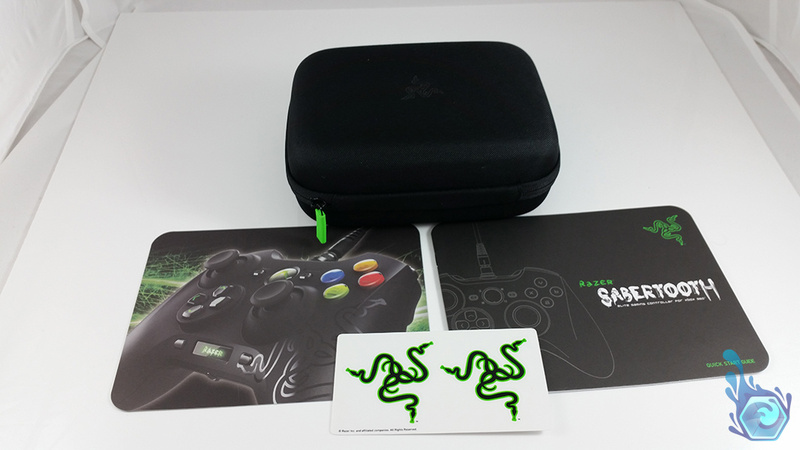 Tagged Controller, Gaming, Pc, Razer, Review, Sabertooth, Xbox. Bookmark the permalink.